It is a genetic disorder characterized by disturbance in nervous system and leads to tumors form on nerve tissues. The tumors can develop anywhere in nervous system such as spinal cord, brain, and nerve as well. It can be diagnosed during childhood or in early adulthood. 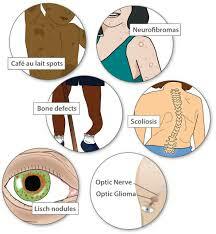 The tumors developed as a result of neurofibromatosis are usually noncancerous called benign but they may be malignant (cancerous). Only mild symptoms appear in the affected persons. The effects have variety and can range from learning impairment, hearing loss and heart and blood vessels disorders which leads to severe disability as a result of nerves suppression by tumors, severe pain and loss of vision. The aim of treatment is to maximize healthy growth and development. In addition to this early manage of complications is required. In case of large tumors surgery is the only thing which can facilitate you. But some people also get benefits from other therapies. These therapies normally include physical therapy and stereotactic radiosurgery. There are three main types of neurofibromatosis having different signs and symptoms. Light brown, flat spots on skin: these are also known as café au lait spots are harmless and are prominent in many people. Their no varies but if they are more than 6 then it is indication of NF1. These spots may be present y birth or appear during the first 12 months and then become stable. They are of not serious concern but may need cosmetics to cure. Freckling: the freckling in the groin area or armpits by the age of 4 to 5 are normal. Soft bumps: they are also known as neurofibromas are actually benign tumors which may appear on anywhere on the body. Most of the people with neurofibromatosis develop tumors under the skin, but the bumps can also grow inside the body. In some cases tumors involve the growth of multiple nerves called plexiform neurofibroma. Tiny Bumps: it is also known as Lisch nodules, a kind of lesion in eyes which is harmless. They are not very prominent and can’t be seen easily. They are not known to affect the vision of individual. These can only be detected by a doctor with special instruments. Bone Deformities: as the bones are growing the deficiency in the minerals cause the bone deformities like scoliosis the curved bone or bowed lower leg. Learning Disabilities: Cognition characterized by impaired thinking skills can be easily detected in children having NF1. As a results children have difficulty with their language and have visual spatial skills. Additionally they have specific learning disabilities like the known hyperactivity/ attention-deficit disorder. Head size problems: the individuals are characterized by higher brain volume because of the higher size of their head. Short stature: they are below average in their height. It is less common than the type NF1. The normal symptoms appear as a result of the development of known vestibular schwannomas which is also referred to as acoustic neuromas appear in both ears. It is known as the rare form of neurofibromatosis. It affects people in their early 20s or 30s. It is characterized by painful tumors known as schwannomas developed on cranial nerves, peripheral and spinal nerves, but they are not known to affect the nerves which carry balance and sound nerves. 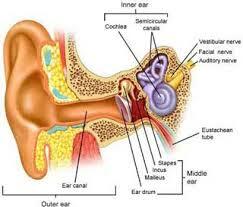 This happens only because tumors can’t grow on these nerves so it doesn’t cause hearing loss, and cause chronic pain. Neurofibromatosis is only caused by mutations a genetic defect that can be transferred from parents or can occur spontaneously. All forms are caused by mutation in different genes. The gene for NF1 is located on the chromosome no 17. This gene helps to regulate cell growth by the production of a protein called neurofibromin. It is found in the nervous system tissues. The mutation results in the reduction of the neurofibromin and as a result cell growth become uncontrolled. Similar type of problem can be seen for NF2. But the gene is located on chromosome no 22. This genes functions to produce the protein merlin. The mutation leads to the loss of merlin and results in uncontrollable cell growth. It is caused by the mutation of the SMARCB1 gene which is normally located on chromosome no 22. But it is also known to be caused by the mutation of other genes as well. It may be inherited by the parents or it may be caused by sporadic. The diagnosis depends on the symptoms, family and medical history. The following test may be advisable when you are suspected for neurofibromatosis: medical history and physical examination, ear exam, eye test, genetic tests and imaging tests as well. It is not curable but doctors are prone to cure your symptoms and monitor your symptoms carefully. 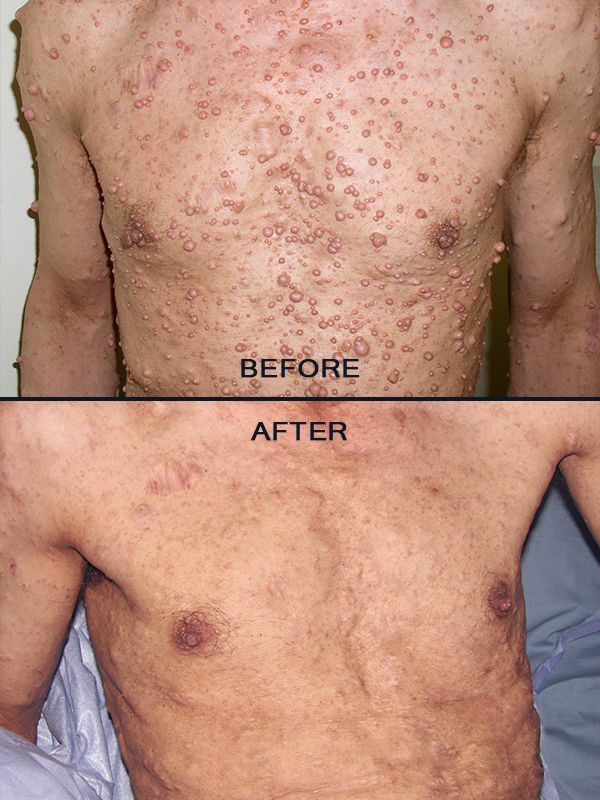 The doctor’s team which will monitor you include well trained experts of neurofibromatosis. The children must be treated at the earliest possible time this will result in the production of best results. Stereotactic radiosurgery: for NF2 type neurofibromatosis it can also be done for schwannomas. Cochlear implants and auditory brainstem implants: in case of hearing loss due to NF2 type these implants are advisable. Additionally cancer treatments may be required as the disease is caused by the formation of tumors.